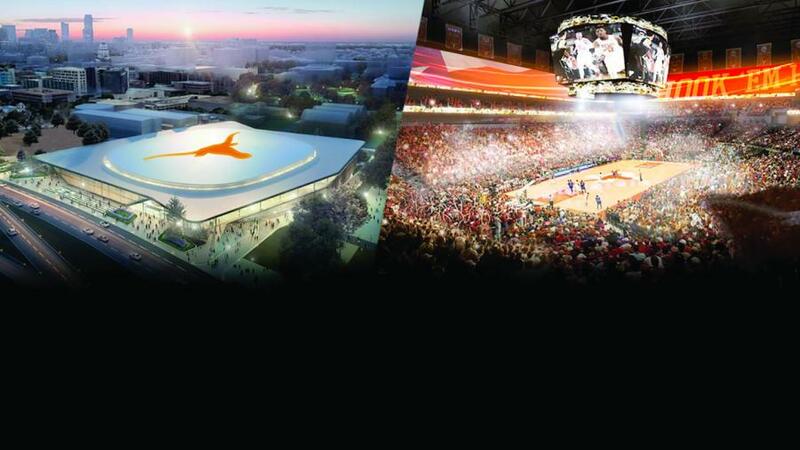 The University of Texas at Austin (UT) and a group led by the Oak View Group (OVG) will build a world-class arena on campus that will be home to Texas Men's and Women's basketball games, graduations, concerts and other events. It is expected to be opened in 2021. "UT's historic agreement with this highly-regarded company will result in a modern arena on campus for our students, alumni, supporters and the Austin community," said Gregory L. Fenves, UT Austin president. "The arena will provide for an unforgettable UT basketball experience and represent the best of our university." "This is a truly wonderful opportunity for The University of Texas, our basketball programs and the city of Austin," said Chris Del Conte, UT vice president and Athletics director. "We're building one of the nation's finest arenas that will provide an awesome home court advantage for our men's and women's basketball programs. The 10,000-seat facility will bring our fans and students close to the action and provide an exciting and engaging game day experience. On top of that, it will have the capacity to expand to 15,000 when needed and be a big-time concert venue that draws premier performers to our great city." "There are very few brands as dominant and as well-known as The University of Texas and Longhorns, and there are very few cities that are growing at the speed of Austin. This is a rare opportunity to be partners with one of the greatest academic institutions in the world, UT, and to be building a world-class arena for one of the world's great emerging markets, Austin. We are grateful to President Fenves and Vice President and Athletics Director Del Conte and look forward to creating one of the best arenas in all of the world, for Austin and The University of Texas," said Tim Leiweke, chief executive officer of OVG. C3 Presents and Live Nation will bring first-class entertainment to the arena. "C3's headquarters are in Austin. We work here, raise our families here, and as a native Austinite, it is a dream opportunity to have this agreement with UT and work with world-class partners to bring this project to life. We are incredibly excited for the level of experiences and entertainment that this incomparable arena will bring to our great city," said Charles Attal, partner, C3 Presents. Austin-based Academy Award winner Matthew McConaughey will act as the "Minister of Culture" at the venue, ensuring that Longhorn and Austin cultures are front and center and helping create a fan experience unlike any other. "It's time to raise the bar. It's time to excel, on the court and in the stands. It's time for an authentic home court advantage for our Longhorn basketball teams. It's time for a choice experience for our fans. It's time to be a preferred venue for headliners from across the globe. It's time for quality, success, and victories for the Longhorns and for Austin. It's time for the big show. It's time. Hook ‘em," said McConaughey, a 1993 UT Austin graduate. The UT System Board of Regents on Dec. 20 authorized UT Austin to complete negotiations and enter into agreement with OVG and its partners.